All donations will go to the disaster relief in Japan through the Japanese Red Cross. Following the March 11 earthquake and the massive tsunami, with our sister website Tokyo Art Beat operating in Tokyo and friends living all over Japan, NY Art Beat feels ever closer to Japan. 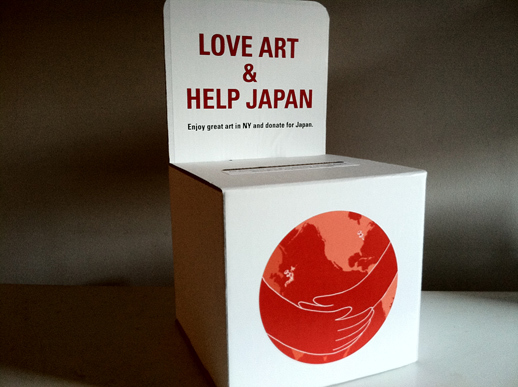 Thus, with a group of good friends we decided to help the disaster victims by collecting donations in art venues and created a few dozen collection boxes to place in galleries, museums, art fairs and auction houses in New York. 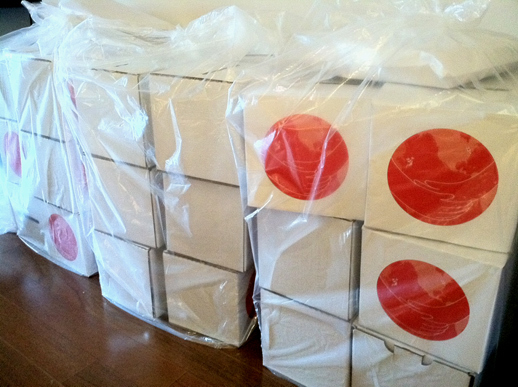 All donations will go to the disaster relief in Japan through the Japanese Red Cross. “Love Art & Help Japan” was initiated by the following individuals. Please note that NY Art Beat strongly supports the project, but is not the sole initiator of it. Katsura Yamaguchi Senior Vice President / International Director Christie’s Inc.